Jaded Blossom: Frog or Prince? Happy Monday!! It's Barb from BugBites and the question today is Frog or Prince? 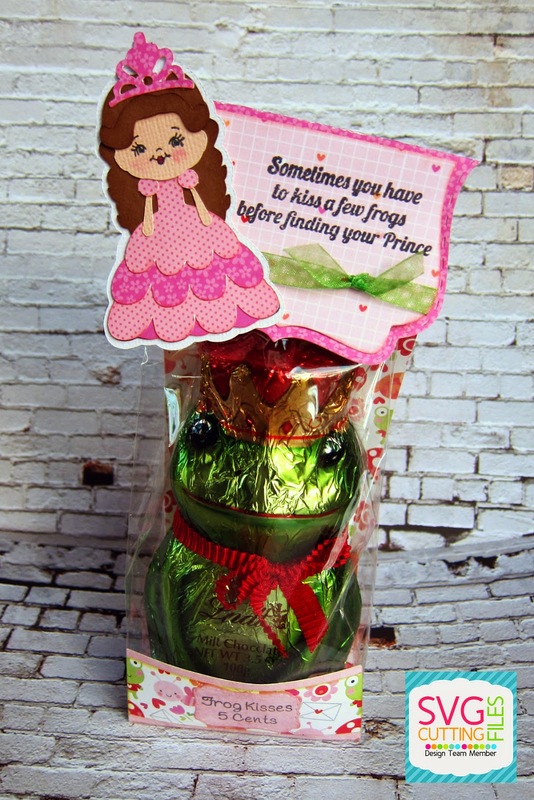 We all have heard the fairy tale about kissing the frog to get our prince, but what if the frog is chocolate? Today I have a treat bag project to share with you and look-- a chocolate frog!!! I found this chocolate frog at Target of all places. I matched it up with this little princess die cut from SVG Cutting Files here. 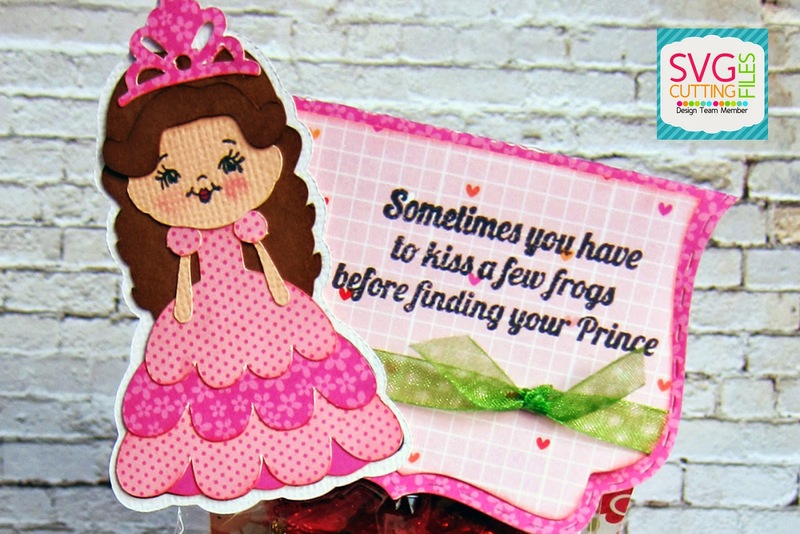 All papers were from Doodlebug and the cute princess face is from Peachy Keen.